In 2013 the UK government instructed ISPs to offer a network-wide filter on all broadband services, aimed at blocking adult material without the need for end users to worry about installing and configuring additional software. But there are problems with this approach. For one, it means your entire connection is filtered. While that may be useful when it comes to protecting children it could inconvenience the grown up members of a household. In turn they may disable it or use workarounds, which ends up rendering the whole exercise pointless. It can also result in legitimate sites being banned, which again may lead parents to simply disable it. And ultimately it is relatively very easy to bypass. For instance, the blocks on file sharing sites like The Pirate Bay have been largely unsuccessful since it's so simple to get around the restrictions. But however you feel about this effort, there’s no denying the fact that the internet contains an enormous amount of material which is completely unsuitable for children. Yet it’s utterly essential to modern life, and this causes a real headache for parents. The internet is an invaluable research tool for homework, among many other things, and denying children access because you’re concerned about what they might be seeing is a step too far. The best option for parents is to learn how to control access and educate themselves and their kids about the dangers. Then you’ll know exactly what your kids are up to and you can leave this ISP level filter disabled so it doesn’t interfere with your own internet usage. Before we get into the more technical aspects, there are a few simple things you can do to control access and help keep kids safer online. Keep your Wi-Fi, computer login and other passwords private so your kids can’t get online whenever they feel like it. Remember that all kinds of devices support wireless now, including games consoles and mobile phones. It’s a lot simpler to control your kids internet access if they don’t have a computer in their room, so until they’re older you may want to keep a computer in the living room or other common areas, rather than giving them their own laptop. One of the most important things you can do is make sure children are aware of the impact online activities could have on their lives. This isn’t just the obvious stuff like illegal content which could get them (or you) into trouble with the law, but also how much information they make available about themselves, particularly with regard social media. We are unfortunately now in an age when youthful mistakes can be very public and potentially follow them into adulthood to affect their lives and careers far into the future. Many parents may simply wish to block either specific web sites or particular types of sites, and this is something you can do very easily through a variety of methods, and without spending any money. One easy way to block access to specific web addresses on a Windows PC is via the Windows Hosts file. This is found in C:\Windows\System32\Drivers\Etc (though you may first need to enable viewing of hidden system files through the Folder Options > View menu). This tells Windows that the URL is located on your own machine, preventing it from loading. It’s a quick, and free, method to block individual sites, but doing a large number of them is laborious, it only works on a single computer at a time, and you can only block entire domains. 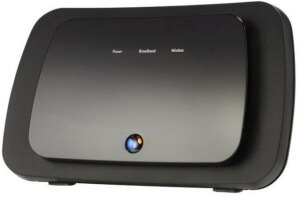 Another free method for preventing access to sites is to use the features built into home broadband routers, with the advantage that it will work on anything connected to your network, not just a selected system. 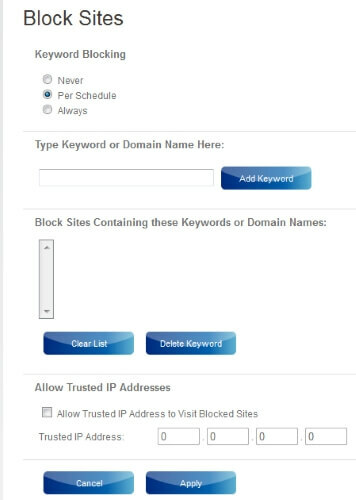 The exact steps will vary depending on your router, but generally the site blocking options are found under Security, and should allow you to enter either a domain name or a keyword - that means you can block general terms as well as exact sites, which offers much more flexibility. It’s also usually possible to choose between permanently blocking a site/keyword or setting a schedule, so the blocking is only activated at particular times. This is useful if you’d rather have it disabled when the kids have gone to bed so there’s no unintended effects on your net access. Another common setting is entering a trusted IP address, which means selected devices will never be blocked. Use this if you’d rather exclude your own computer from the blocking rules, or if a device like a streaming player has issues with the block, though you may need to set a static IP address on each trusted device. When you tap a URL into your web browser it's translated into the actual server IP address by a Domain Name Server (DNS). 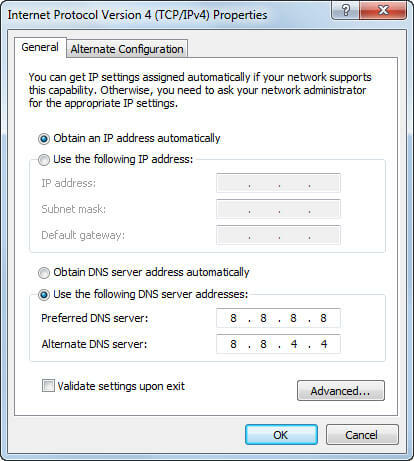 By default your computer and router will be setup to automatically use your ISP's DNS, however it is possible to choose an alternate server and this can include child protection features. OpenDNS is (mostly) free for anyone to use, and one of the services they provide is parental controls. You simply need to register then follow the instructions to configure it. After that, it will block unwanted URLs whenever access is attempted. On some routers it is possible to configure a custom DNS which means that your entire network will be protected, however ISP issued routers may not allow this. If that's the case you will need to change the DNS settings on each computer, but this is very easy and won't take more than a few minutes (a Google search will reveal all if you can't find the settings yourself). For Windows, locate your network adapter in the network settings within Control Panel, click Properties, select Internet Protocol Version 4 then hit Properties. Just choose the 'Use the following DNS server addresses' radio button and enter the server IP provided. Using the Hosts file and router security settings can be helpful in many situations, but you may prefer to go with a software package, particularly if you’re not too keen on fiddling with system files or battling your router’s configuration tools (which can often be frustrating). For many parents a software package may be the best all-round solution, as it provides a high level of protection but will not change browsing behaviour on the rest of your network. They can also offer a huge number of features including detailed activity reports, in some cases even emailing you a regular update. Just knowing that you can see everything they do may be all it takes to stop children from being tempted to poke around the net's darker recesses. Provided you’ve kept the Wi-Fi password safe and prevented kids from using other hardware to access the internet, these applications can simply be installed on one PC, configured, and then you don’t have to worry. It also means that you can feel safer about giving them their own computer or letting them use the family system without watching over their shoulder. There’s no shortage of software applications designed to keep children safe online, but one of the best is entirely free. An extremely comprehensive tool, K9 can block sites based on category, so you don’t need to worry about specifying exact web addresses, prevent web access at certain times of the day, monitor online activity, and offers options to whitelist and blacklist particular sites. There are also iPhone and Android versions available, as well as PC and Mac. The basic free version of Norton Family provides activity reports, site blocking, social network monitors, time limits and search engine records, but paying for the premier edition unlocks additional features such as online video monitoring, time summaries, emailed activity reports and a great deal of detailed activity tracking with 90 day records. Premier also supports Android smartphones and tablets. More basic than K9 or Norton, but this entirely free tool does offer the fundamentals of online activity monitoring and web site filtering, and being a Microsoft application it integrates smoothly with Windows user accounts, so you can very easily configure it to activate on your kids accounts while not touching your own. The Child Exploition and Online Protection has a huge amount of information and assistance relating to child abuse. The IWF works with ISPs and the police to monitor online child abuse sites. The public can report suspected sites here.